Disputes and in-fighting during the estate administration process are more common than many people realize. This type of disagreement can quickly get heated and may lead to litigation if the warring factions cannot reach an agreement about the distribution of money and other assets. Bratton Law offers several estate dispute resolution services, including unique approaches to mediating agreements and reaching a consensus. We strive to help you avoid litigation, but can represent you in court, if necessary. Call at 856-857-6007 to discuss your case with an estate litigation lawyer in Gloucester Township, NJ today. We fight to ensure you receive the full assets due to you after a loved one passes away. Or, if you are the administrator of an estate, we can protect your reputation against allegations of mishandling assets or other unethical conduct. We have the experience, training, and resources necessary to deploy effective dispute resolution strategies or represent you in front of a judge if litigation proceeds. Estate disputes can cause rifts between siblings, parents and children, and other family members. No one wants this to happen after their death, and they can usually prevent this by outlining their final wishes in a will or other estate plan. When they fail to create a will — or when some members of the family believe the will is not valid — disagreements can occur. If these disagreements are not addressed quickly, they may escalate to a breakdown in communication, a formal dispute, and even litigation. We can often help our clients work through this type of disagreement, avoiding going to court and ensuring all heirs get the assets their loved one intended for them. We work with administrators, executors, heirs, potential heirs, guardians and trustees, and others who have a stake in the outcome of the asset distribution process. If you are serving as the administrator of the estate, you may want to call us as soon as you sense a potential disagreement between heirs. We can represent you through the dispute resolution process, protecting your reputation against allegations of wrongdoing or unethical behavior. If they insist on taking the case to court, we will defend you in front of the judge, as well. We will fight to ensure they allow you to carry out your loved one’s last wishes as intended. When there is not a will, there is no legal way to know exactly what the person wanted to happen to their assets after they died. A will names the person trusted to handle the final bills and disperse the assets and outlines how to disperse any valuables belonging to the estate. It specifically names who should inherit assets, and exactly what they will get. Without this type of guidance, potential heirs may feud over who receives what assets and other property. Disputes are much more common when there is no will; however, feuds over the validity of the will can also occur. Most modern wills are self-proving. If an attorney helped to prepare the will, it most likely includes the necessary witness signatures and notary stamp to ensure its authenticity and validity. To probate a self-proving will, the Surrogate or an approved clerk of the Surrogate’s Court just needs to double-check the signature and notary stamp. In theory, this should answer any question about the validity of the will. 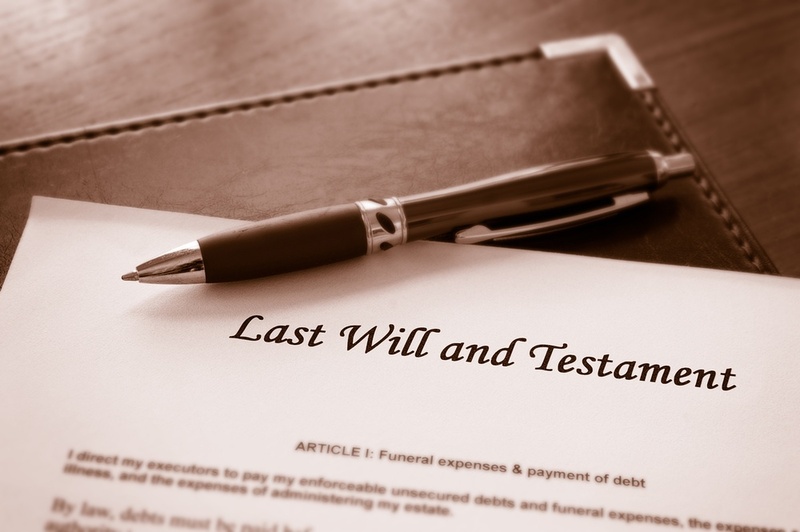 However, there are sometimes still disputes about wills after they go through the probate process. Family members or other potential heirs may claim the deceased party suffered a lack of capacity or undue influence when they created the will. We can help you raise this type of dispute, or we can defend your loved one’s legacy and last wishes against it. Occasionally, the problem is not with the division of assets but instead with the person tasked with executing or administering the estate. There could be mistakes, mishandling money, or simple miscommunications that lead to questions of competency, or there could be a long-standing feud causing problems. Even minor in-fighting can snowball into demands for a new administrator or executor. If you are the administrator of an estate, we can help you protect your reputation and defend you against any allegations of wrongdoing. If you believe the administrator or executor of your loved one’s will is acting unethically, we can help you ensure they settle and distribute the estate in a fair and ethical manner. At Bratton Law, we can help when estate administration turns into litigation. We may be able to settle the dispute before they file a lawsuit or get to the bottom of your concerns without tarnishing the legacy of your loved one. We will employ any number of dispute settlement techniques to avoid litigation. However, we will represent you in court and fight for your reputation if necessary. Call us at 856-857-6007 to reach out to a Gloucester Township estate litigation attorney today.